i am, however, thoroughly enjoying seeing the fashion at the wedding. i wish we had a tradition (other than horse races) where we could all wear such fabulous hats! i think we should all get together and try to start a trend..are you with me? here are a few of my faves from the wedding. if for no other reason than this gorgeous turban, she looks absolutely stunning. hands down, this is the best hat. and only at a royal wedding can you get away with it. only victoria can pull off 6" platform heels during pregnancy. and only david can pull off this doorman get up! this gown is understated and beautiful. i would have loved to see a wild hat with it, but beggars can't be choosers! i didn't realize lindsay lohan was invited to the wedding! what are your thoughts? was there anyone that you loved or hated? did you even watch it? do you even care? i'd love to hear your thoughts! yay! it's friday!!! do you have any fun plans for the weekend? tonight my awesome mom offered to babysit mimi so that jim and i could go out. it was my sister-in-law's birthday yesterday and we are going to help her celebrate tonight! bowling and beers! bring it on! tomorrow we are having a birthday party for mimi, who just turned one last thursday! it is crazy to me that i have a one year old! it feels like just yesterday that i brought her home from the hospital. time flies when you are having fun! on sunday we will relax (i hope!). and perhaps have dinner with megan and her family. i am excited for my fun filled weekend! i wanted to share a few photos from our recent trip to california. we had such a good time. i love it there. it is simply gorgeous. i would totally move there if my whole family (mom, dad, sisters, brothers in law, nieces, nephews...you get the picture) would come with! 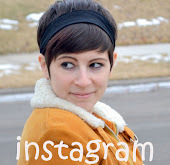 i didn't want to bore you with photo overload, so i just picked a few of my favorites. i hope you enjoy the little glimpse into our trip! we got stuck in the denver airport for about 7 hours on our way there. with a one year old. yikes! but we made do with this giant sandwich! can you tell how happy i am that jim is taking this picture??? it had been a while since i had seen green! so i went a little crazy. isn't it so gorgeous??? the view from the home we rented on lake naciamento. some pics of mimi and her best pals, cal and owen. my little family on a santa barbara beach. mimi's first time seeing the ocean! it was a bit too cold for her little toes! that's all! just a few fun images! i hope you all have a fantastic weekend!!! FBFF – fitness and fashion! happy friday! 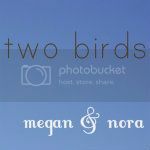 this week's FBFF topic is something close to both of these little bird's hearts. fitness! megan and i are what you might call fitness nuts! we both love to work out and be as healthy and in shape as we can be. we are not crazy about it. and neither of us necessarily works out to lose weight. we both actually really like working out. it makes us feel good and healthy and happy. and that makes those around us happier and healthier, too! oh, and these birds do not eat like birds! we love food and if we are active then we feel we can eat whatever we want (within reason and mostly in moderation-although i will not lie. if i have food in front of me, it is hard for me to stop eating sometimes! and i know for a fact that megan does not get full.) without regret! 1. Do you keep some kind of fitness routine? Why? i do. i hit the gym every day of the "work" week (i put that in quotes because i do not actually work outside of the home except for a couple of shifts waiting tables at a local restaurant) if i am able. mimi and i will get up around 6:30am, eat breakfast and then head to the gym. normally i will take a class. i love yoga, pilates, zumba, boot camp...and if i can't make it to a class i will use the elliptical or treadmill for 30-45 minutes and then lift free weights. in the spring and summer months i love to run outside. i have a jogging stroller that i can strap mimi into for a quick run. and i am actually planning on starting to do a couple of workouts a day once the weather changes...gym in the morning and a nice, long run at night once mimi is in bed. we'll see if i can keep it up! i take the weekends off from the gym, but mimi, jim and i will usually take nice long walks on saturday and sunday if the weather permits! sometimes we just walk over to megan's for a few beers on her patio...does that count??? as to why, i think i answered that above. i do, as well. i don't have a ton of free time, but i always make time to work out. i work out six days a week, but nothing too stressful. i am lucky to have a gym at my work, so over my lunch hour, i work out on the treadmill and do some weight lifting. and at home we have an elliptical machine, so i use that on days when i can't work out at work. i also love yoga, and really wish that i did more. i will try to do 10 minutes when i wake up every morning, but that doesn't always happen. in the spring and summer, i bike to and from work, and like nora, i love running. minneapolis has some of the most beautiful parkways and running paths, and i live a few blocks from one of our great lakes, so i run that a lot. i have never trained for a marathon, although i really want to. and when i say that, i mean i want to do the training, but not necessarily the marathon! ha! but yes, when i am active and working out frequently, my body image is much more positive. it just makes me feel happier and healthier! and that is reflected in the way i see myself. i have twice trained for a marathon (but only ran one), and i don't know that it did anything for my perception of my body image. in fact, it may have been detrimental...after i finished, i felt guilty for "only" running 3 miles instead of 18! but working out in general does make me feel good about myself. i know that my body is the best it can be. and while i know there are flaws with it, i can't complain because i work very hard to be healthy and fit, and i am happy with the results, even if i don't look like a super model. it is all about function! although i do have a few pair of yoga pants and some workout tanks that i think are cuter than others. but if those are in the laundry pile i am not going to skip my workout! i definitely don't look my best when at the gym or out for a run. but i am also not there to impress anyone! this is not to say that i haven't bought a cute new workout outfit in order to motivate myself! sometimes you need that extra little push to get you out the door! as far as fashion, i always look and feel better in my clothes when i am feeling healthy and in shape! i am not one of those people who tries to look cute for the gym (because the end result is never cute anyways). i have to be comfortable when i work out. my general outfit is a long and lean tank from target, and champion leggings and sports bra. i always buy my sports bras a size too small...that stemmed from training for a marathon when i was breastfeeding and i was a double f (yep!). i like to have no jiggle when i work out, so i always go smaller on the sports bra! i kind of feel like there is a new "it" thing in fitness every week! and i have tried them all! and in doing that i have figured out what works for me and my body and lifestyle and now that is what i do. i don't think that there is one workout that works for every person. or one thing that i "should" be doing. but i am always willing to try something new and see if i like it! mostly i think you should be having fun (at least a little bit!) or you won't stick with it. not really. i don't think anyone would look down on me if i didn't work out. but i am definitely proud of myself for doing it. 5. Dream big… what would be your ultimate fitness goal. i dream of passing down a healthy body image, active lifestyle and a love of fitness to my daughter and any future children that my husband and i may have. that is so important to me! oh, and maybe training for that marathon! i love nora's answer...i really want to make sure that both my children have healthy body images. i didn't growing up, and that is a horrible feeling that has stuck with me for many years. as for myself, i would love someday to participate in a triathlon. there is an amazing one here in minneapolis, and once i become a better swimmer, i think i will go for it. for more answers to these questions, feel free to check out Modly Chic. hey everyone! first off i would like to give megan bird a giant virtual hug and a huge thank you for taking over the blog entirely while i was gone. she is amazing and she did such a fabulous job. she is seriously a super woman. i don't know how she does it all! wonderful mom, fantastic wife, career woman, awesome sister, super blogger...just to name a few of the things she does on a daily basis. thank you, megan bird! i couldn't do any of this without you! for today's curious birds post i would like to know what you think of self tanning lotions. although, when i try, i can get quite a nice tan. the problem is, i don't lay out in the sun anymore (covered in baby oil and lemon juice! gasp!) like i used to in my teens and twenties. and when i am in the sun i am usually covered in sunscreen. i am also fearful of the mystic tan. i fear my skin would turn orange, and orange is just not my best color! so, if i want a nice, natural glow (YES, PLEASE!!!) 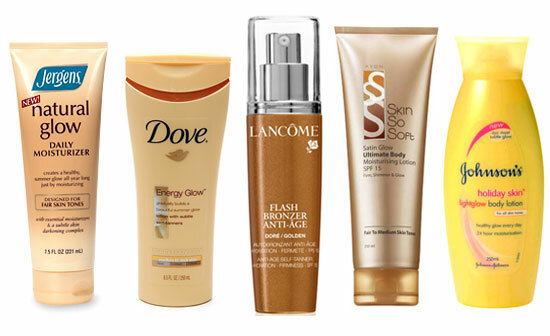 i look to the self tanning lotions. 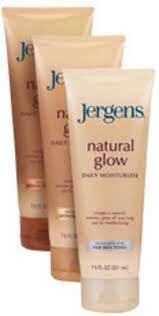 so far i have found the jergens natural glow brand to be the best for me. it is in my price point (although i could be talked into spending a bit more) and it has an okay scent. not great, but not horrible. also, they have a number of different options to choose from. you can get one for pale skin (hello??? ), medium tones and darker skin. they also have lotions with firming action, ones that claim to revitalize skin, lotions with shimmer, lotions for your face...i could go on. but i won't. i promise. i am willing and ready to try another brand if you have one to suggest. i am dreaming of that perfect tan for this spring and summer (if the spring and summer ever decides to happen here in minnesota). if any of you have any brands you use and love, please tell me! i will likely go right out and buy each and every one! i hope you are all having a great thursday. i am really looking forward to the weekend! we have a lot of fun family plans! i love weekends filled with fun and family. what could be better??? well, perhaps fun and family and a really nice tan!!! nora's back! that might be one of my favorite things today!! 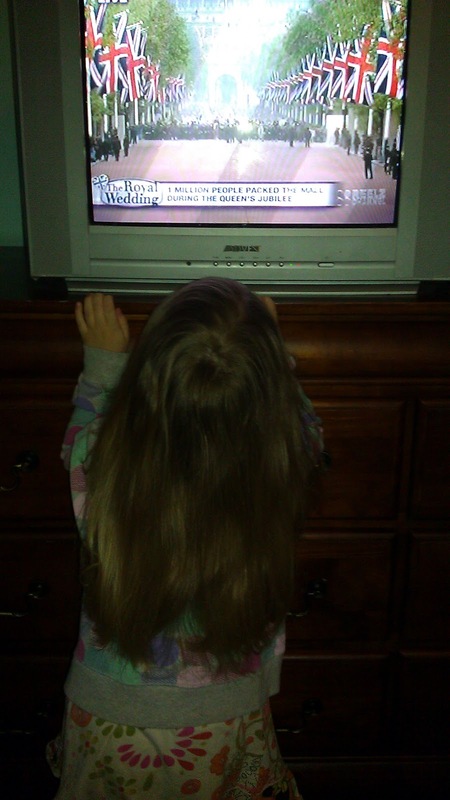 i miss her and mimi (and jim, of course, too!) she told us that if our whole family moved to california, they would too...something to think about! i mistakenly thought out loud this morning that i was loving the sunshine, but that i secretly wanted to use my brand new clear bubble umbrella that i bought yesterday. then it started raining and i think it might be my fault! jinx. so, sorry minnesotans! but april showers bring may flowers, right??? 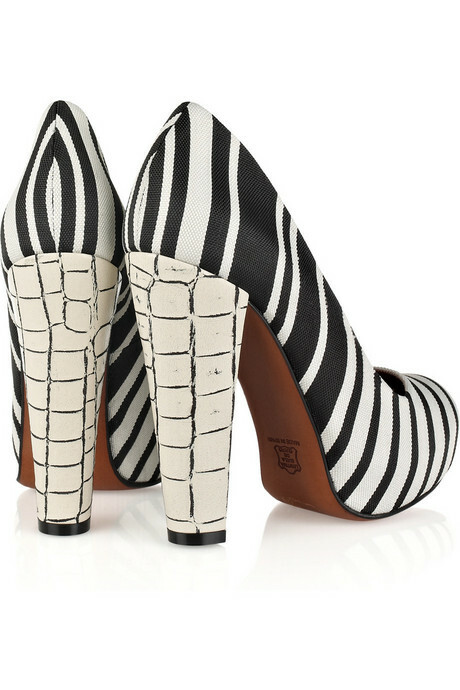 i'm just going to go ahead and start off with the jeffrey campbells. we all know i adore his shoes. want. them. all. i don't know what my obsession is with antlers. 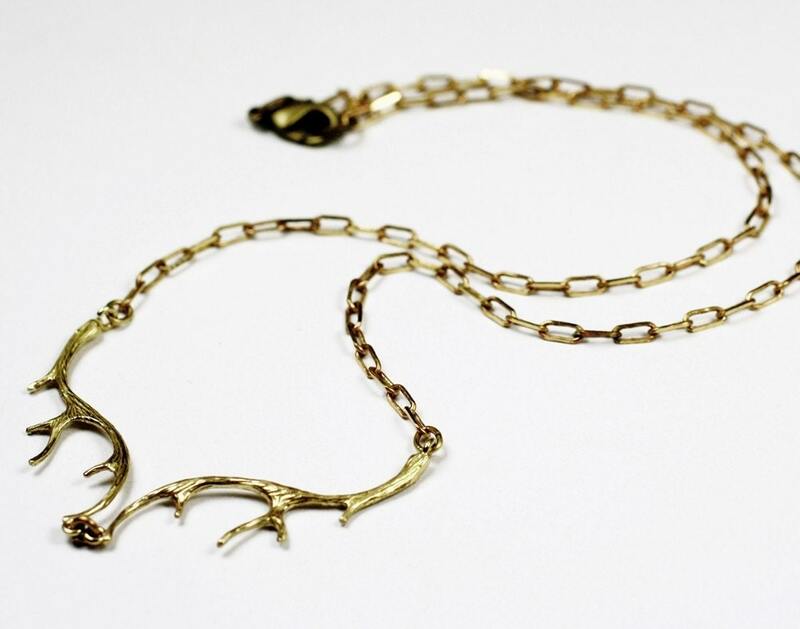 i would never want real ones, but any sort of replica amazes me...including this fabulous brass necklace. 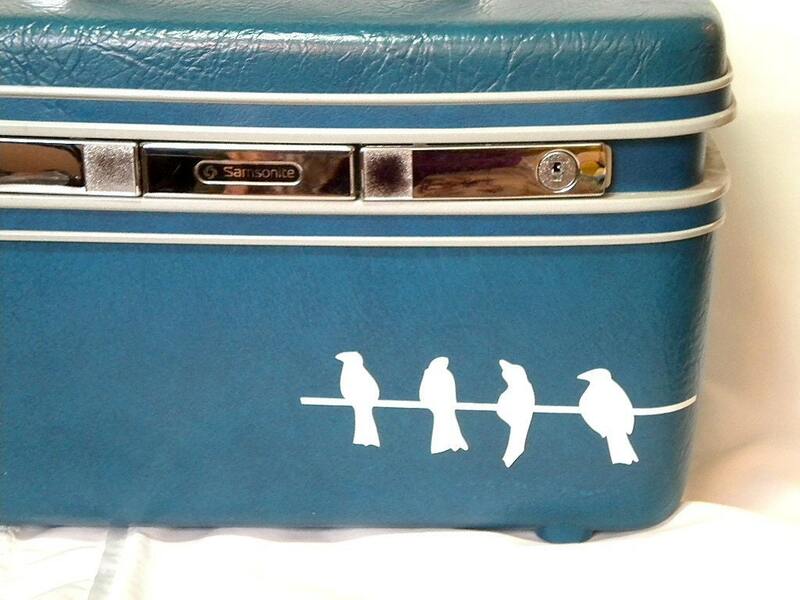 i have been obsessing over vintage train cases lately. every time i thrift, i look for one. this one is especially cute because of the birds. how cute is this tabletop bookcase? 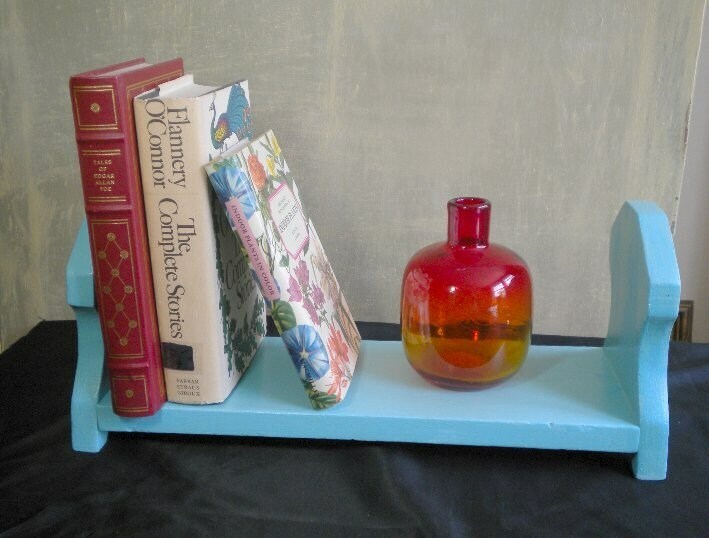 i have always loved bookends, but there is something so quaint about this, that i kind of think i need it! i ordered this the other day and it is in transit! i can't wait to receive it...it's perfect for summer, so summer better come soon!! 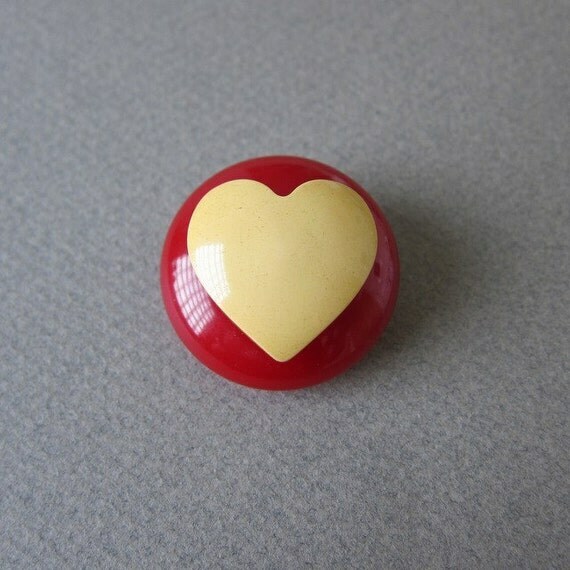 this vintage bakelite brooch (from my friend's adorable etsy shop, PetitOiseau) makes me happy. in love with this outfit. each piece is gorgeous. especially that bag! i really want my long hair back. and i want it to look just like hers. dreaming of striped shoes. these are both fab! 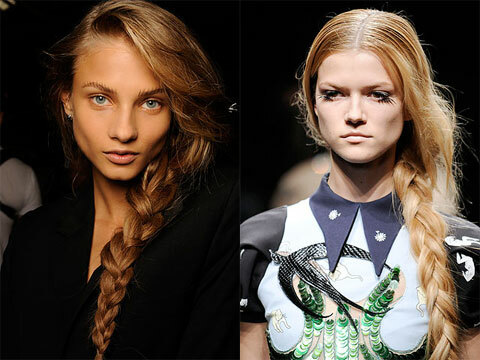 braids! did i mention i want my long hair back??? i have a confession to make. i shop in the girl's section of target. sometimes it's my first stop at the store...specifically the clearance portion of the girl's section. what can i say, sometimes they have the exact same clothes as the women's section, but they are cheaper. while i normally only buy skirts and sweatshirts (i.e., stretchy, elastic-banded clothing that will fit), today, on a whim, i bought a pair of pants. ok, i guess i have two confessions to make. these pants are disney. so yes, i now own a pair of disney floral jeans. but they were only $4.98, so you can't laugh too hard. so there you have it...the remix that never should have been. i am so happy nora gets back tonight! and kids, if this remix has taught you anything, it should be that no matter how cheap something is...don't buy it just because it's cheap. oh, and also, if you are going to buy little girl jeans, try them on first. lesson learned! i don't own a pair of high-waisted jeans, so we'll see about this one...but here goes. next week's inspiration is katie holmes. you don't have to love her (or her husband) to be inspired by her clothing, right? right? i hope you all join! have fun with it and be inspired!!! nora is coming back today! yay! i promise that she will be leaving some lovely posts soon enough. in my haste, i thought she was coming back early this morning, and would in fact have time to do her tuesday remix. i was wrong. she gets back late tonight, so there will be no remix...at least until i get home tonight from work. sorry! in the meantime, i am trying to inundate you with posts so that you will forget and forgive my mistake (i know, your lives don't revolve around the possibility of us getting our scheduled posts out). last night we had a lovely dinner. even my kids thought so, which is awesome because it comprised of a healthy serving of mushrooms. i thought i'd share it with you today. i don't know what you'd call it, but i love it. when our younger sister got married, she offered this vegetarian dinner option that both nora and i fell in love with. it was polenta with a creamy mushroom sauce over the top. i have been trying to replicate it, and i think i came pretty close last night. well, at least in the "i have 20 minutes to make dinner, so let's try to make something good" sort of way. for easter, i made an appetizer that consisted of mushrooms and goat cheese. well, i forgot nora's husband wouldn't be there, and i made way too much (love ya, jim!). so this is my creation made from the easter leftovers. ~spoon the mushroom mixture over the polenta and enjoy!! 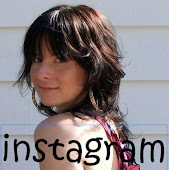 ifb: links a la mode! check us out! !